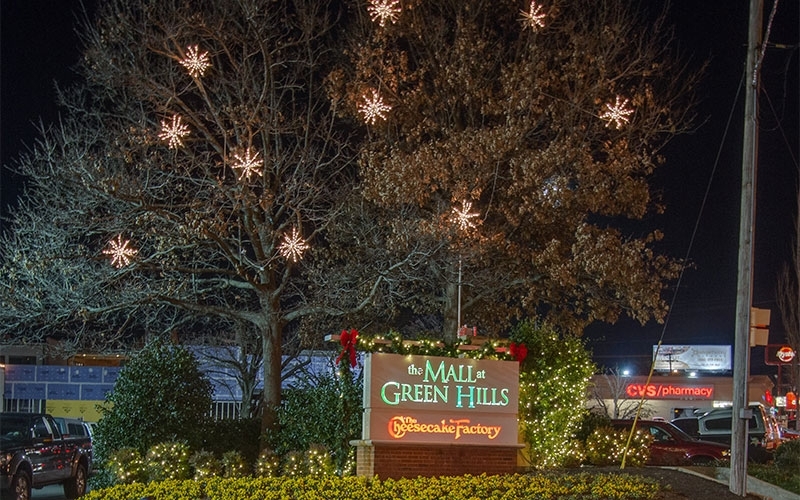 Our holiday outdoor lighting designs grace the exterior of many of Music City’s most popular commercial venues. 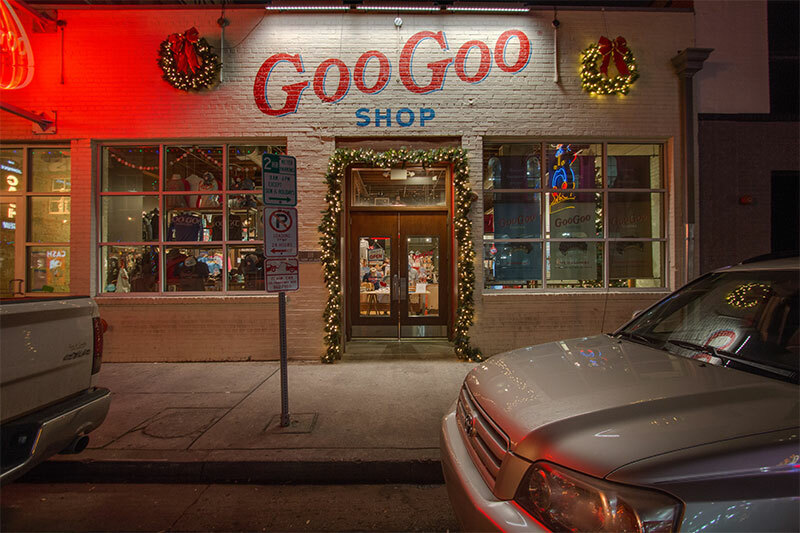 Each dynamic as the services or items they offer. 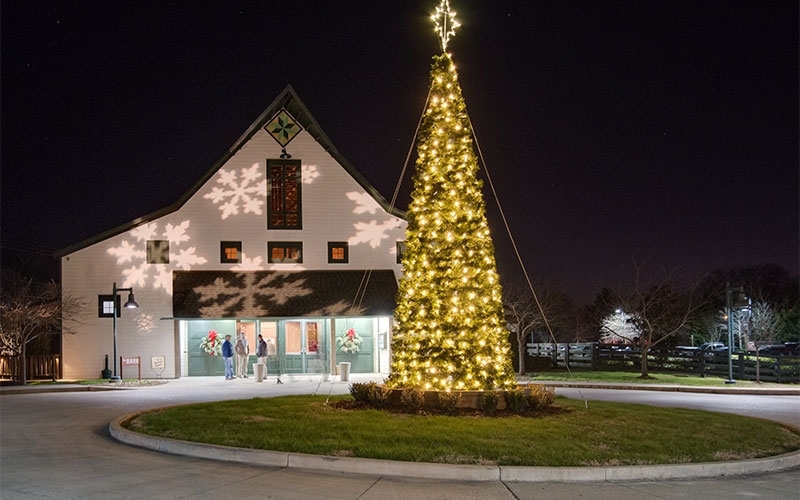 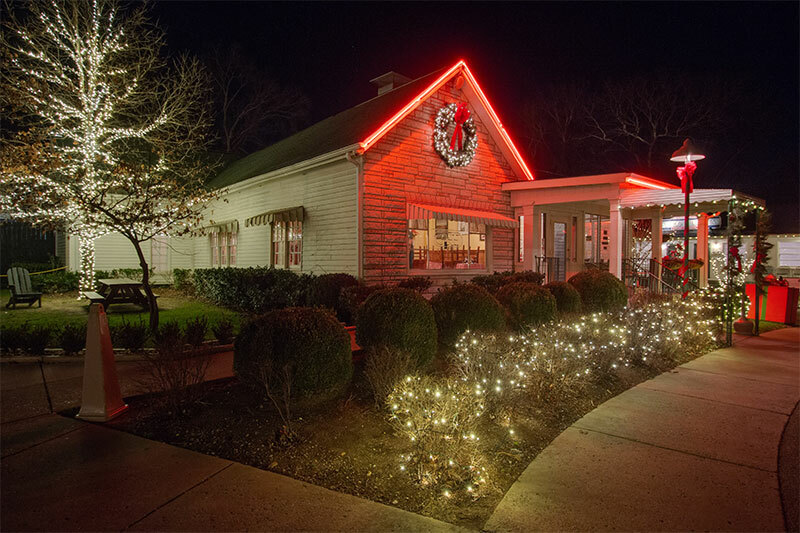 We believe that seasonal lighting should not only reflect the festive nature of the season, but also the character that makes each commercial venue unique. 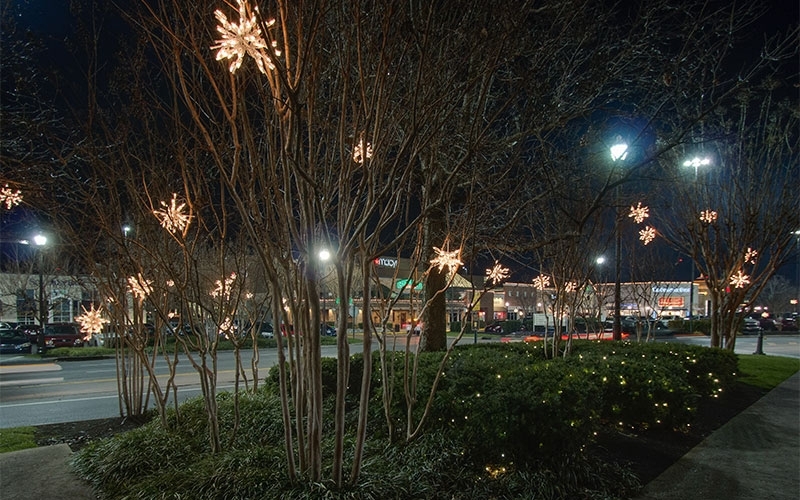 We strive to design a truly custom holiday outdoor lighting design that will set you apart from the crowd. 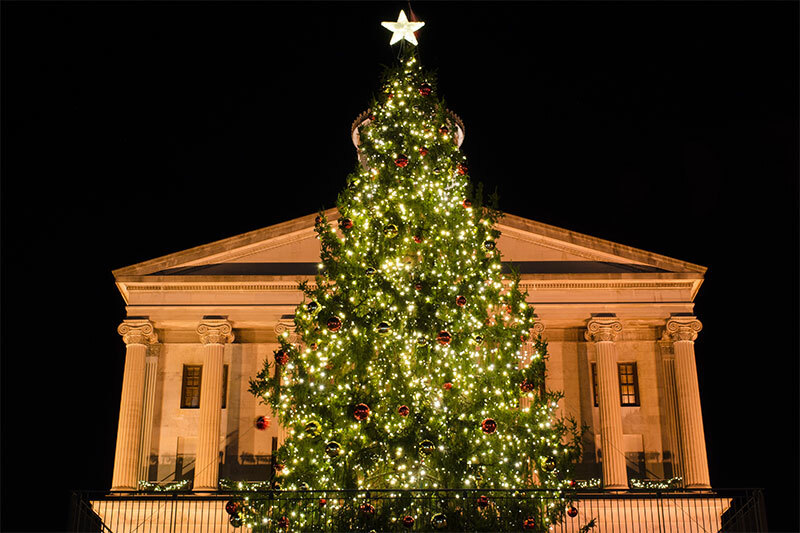 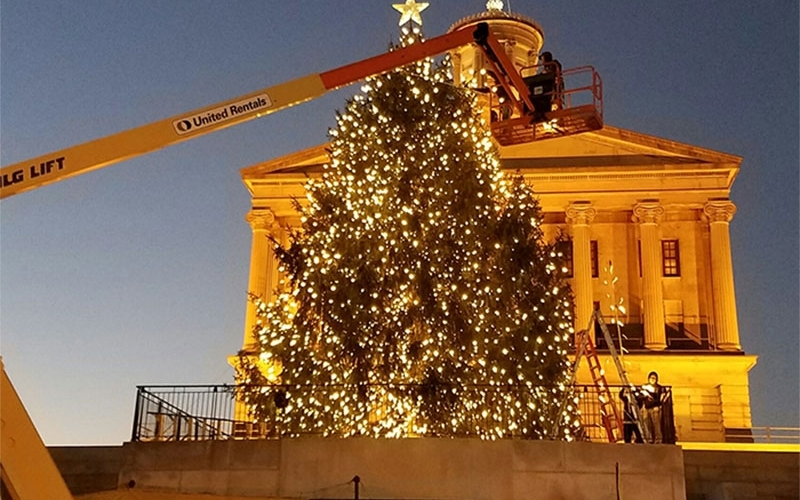 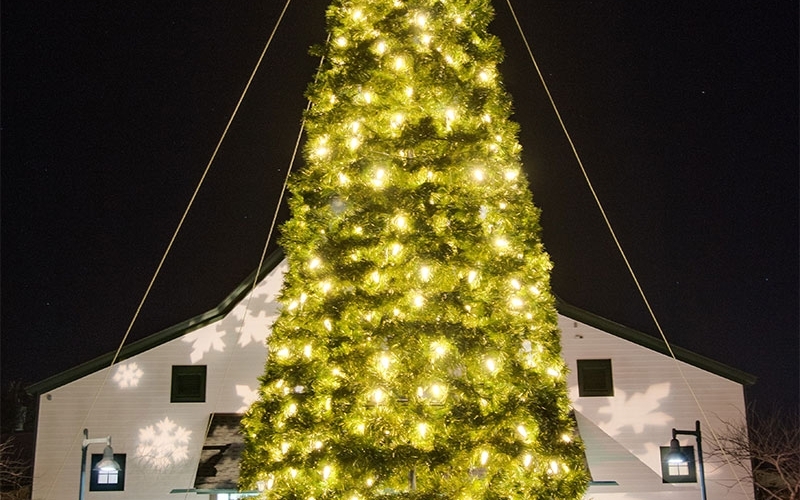 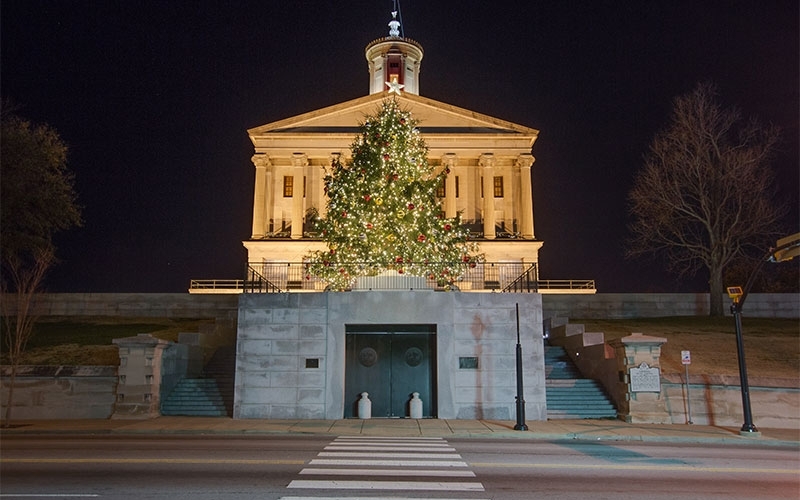 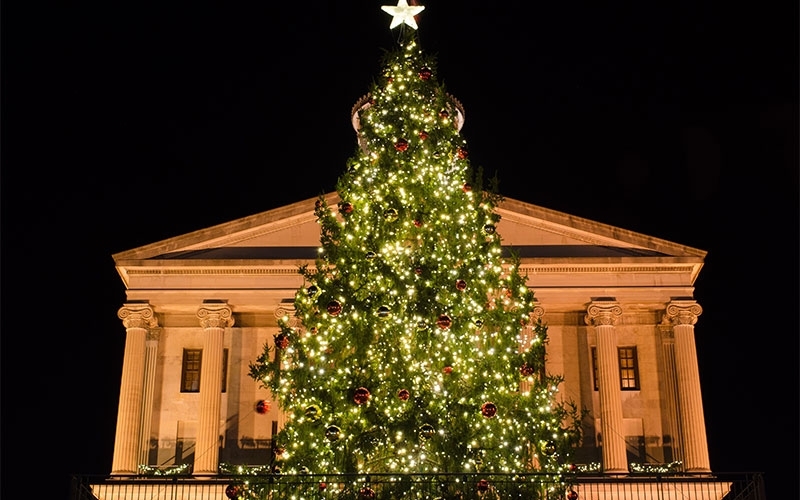 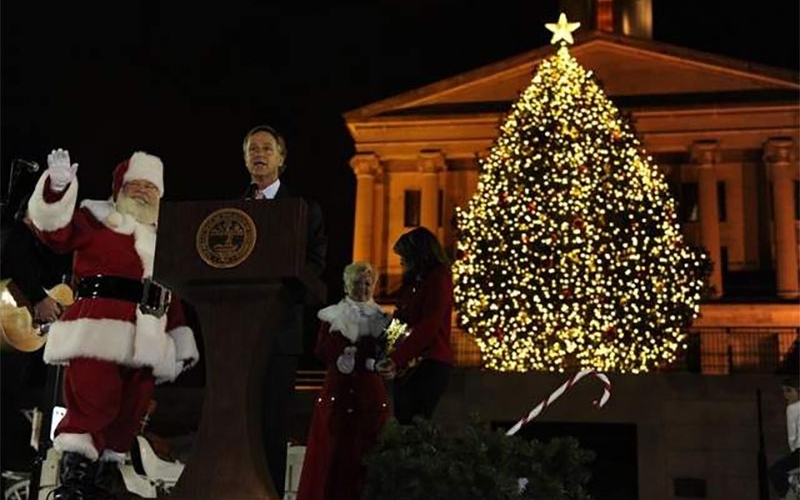 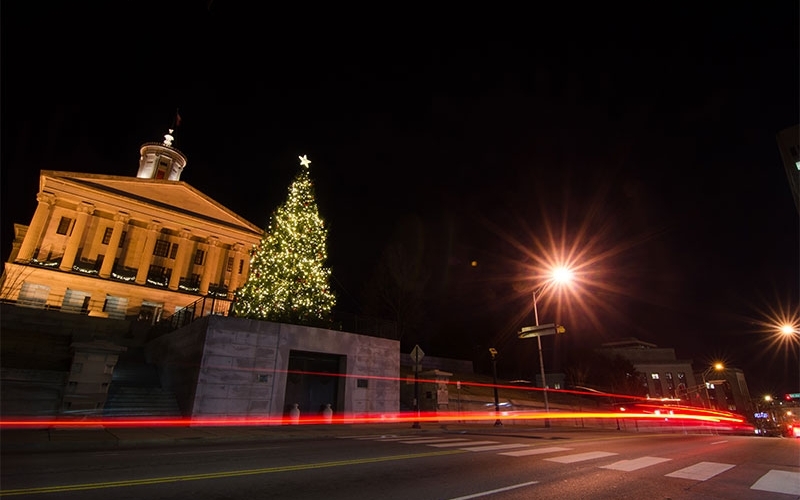 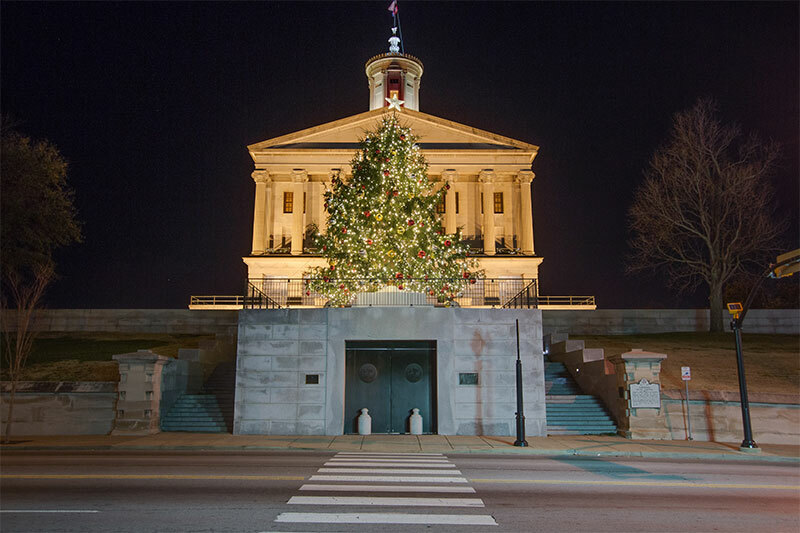 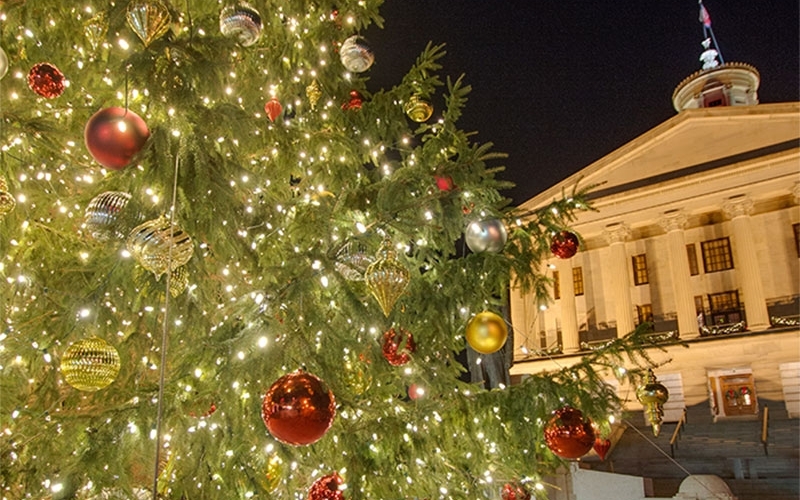 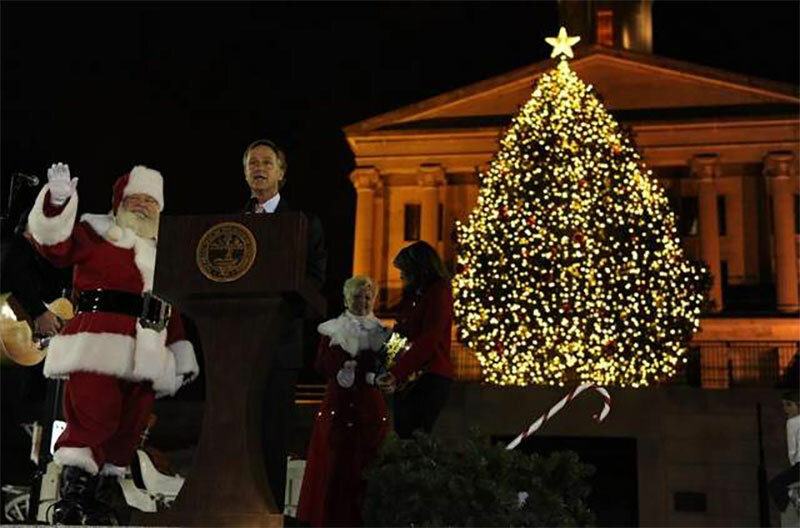 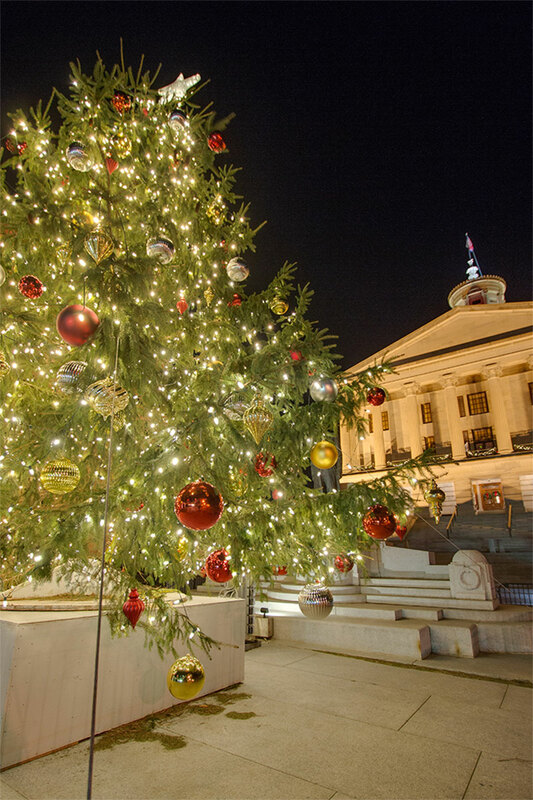 Some of our most notable commercial customers include The Famous Goo Goo shop in downtown Nashville, The Loveless Café, The Mall at Green Hills, The Gulch and of course, our custom tree lighting we do on The Nashville Capitol entering our 6th season. 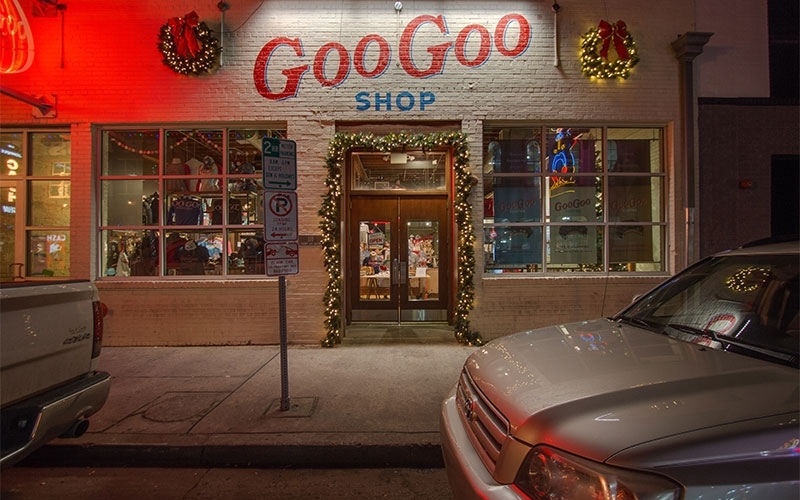 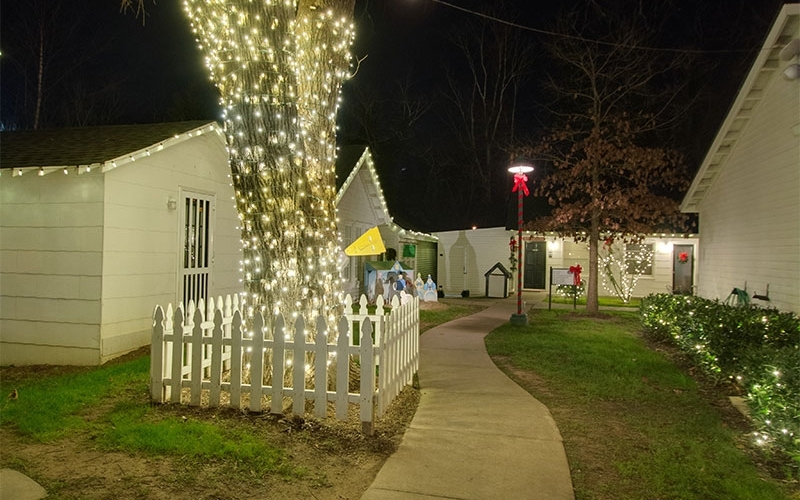 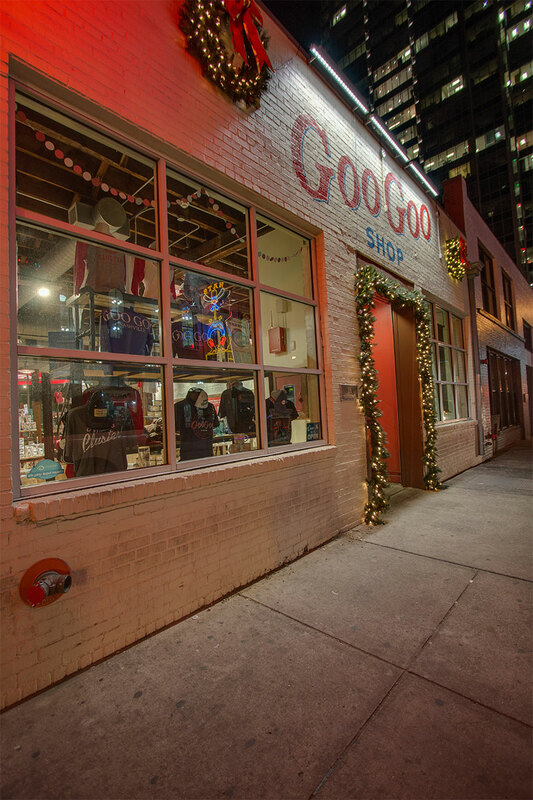 Outdoor Lighting Perspectives of Nashville worked hard to customize a commercial holiday lighting design that was sweet and simple, just like the beloved treats that have made the Goo Goo brand so famous. 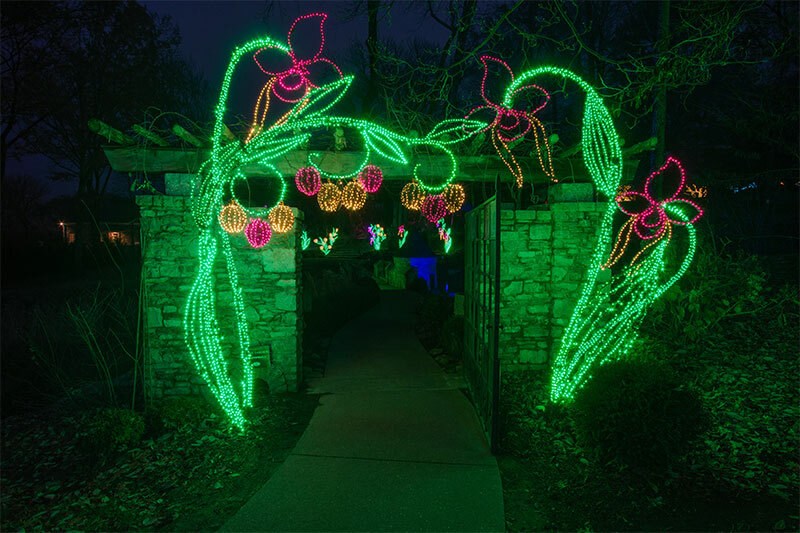 For this installation, we adorned the entry surround with festive illuminated garland. 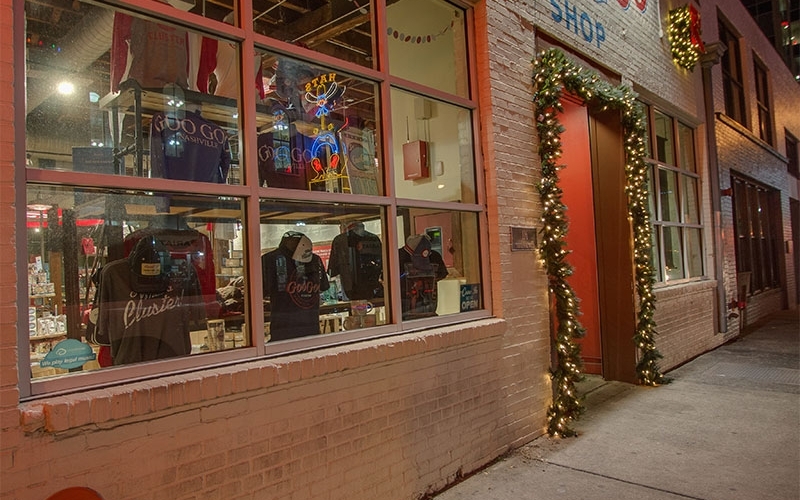 In addition, we installed a pair of lighted wreaths to the storefront flanking each side of the trademark name inscribed on the building itself. 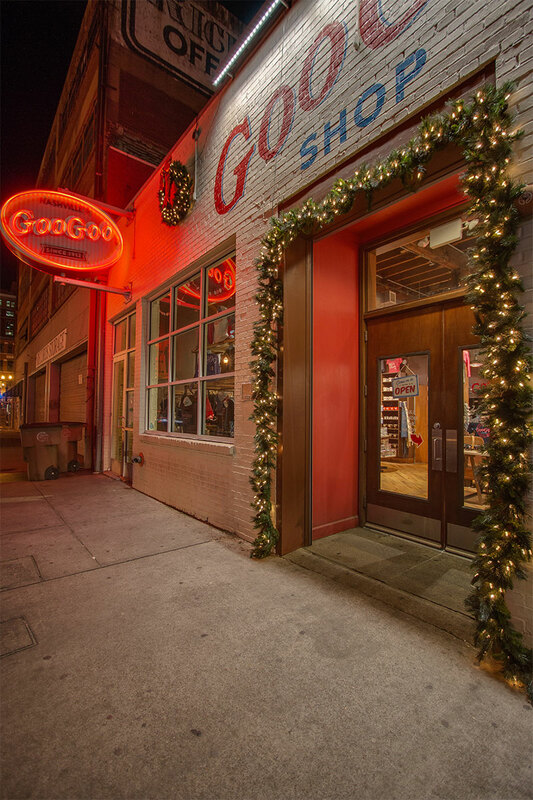 These touches add warmth alongside the red cast of the signature Goo Goo shop’s neon sign. The result is a welcoming way to frame the large assortment of candies visible from the large picture windows in honor of the season. Reminiscent of highlighting the magic of Santa’s workshop for onlookers. 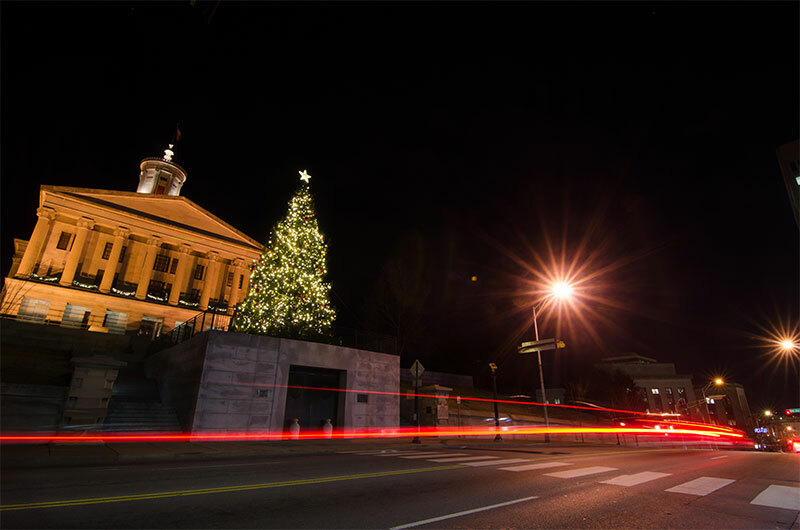 Whether you are a Nashville native or a visitor, chances are you know and love the Loveless! 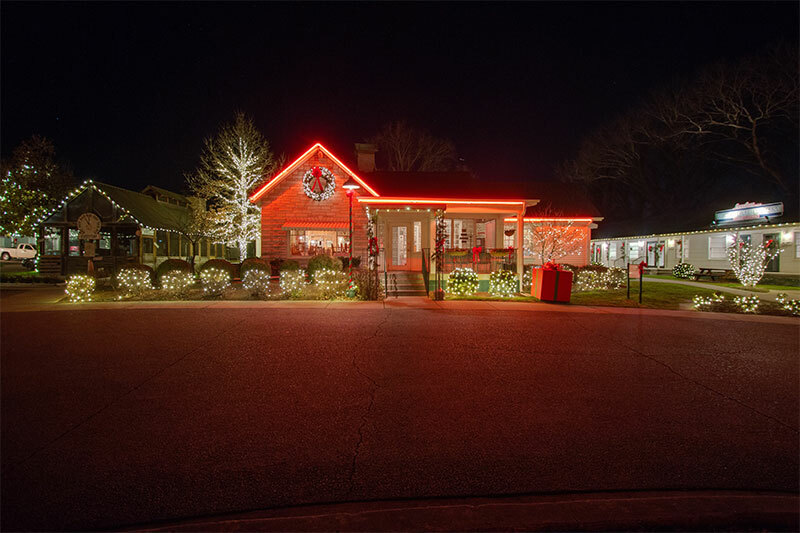 The Loveless Cafe is a Nashville hot spot that is steeped in history. 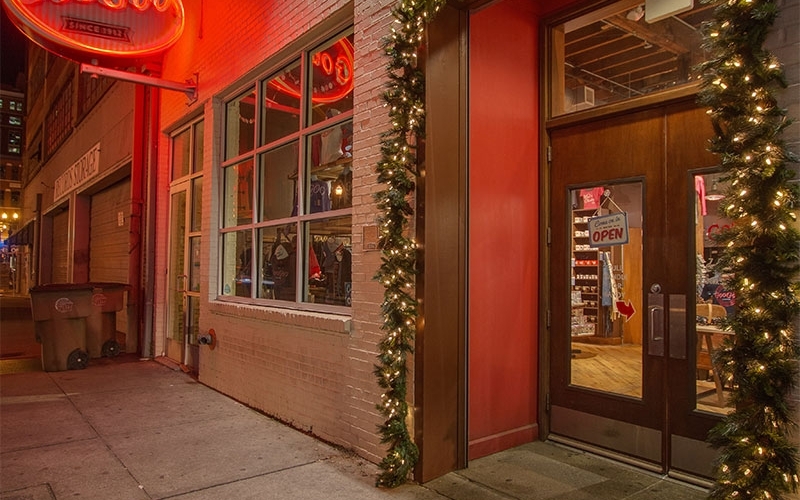 The Loveless has been a fixture in the Nashville area for over sixty years. 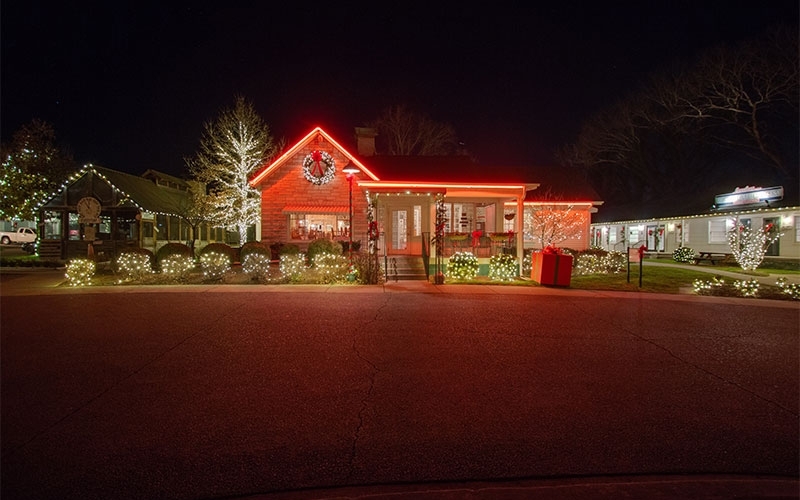 With a diverse history, the cafe serves up true Southern staples like fried chicken, country ham and biscuits. 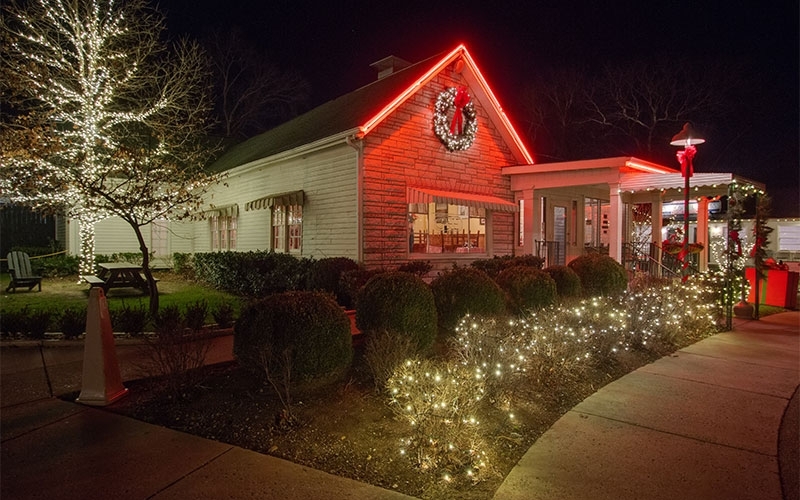 Since its beginning in the 1940’s, the cafe has evolved to include The Loveless Barn, which is a 4,800 sq. 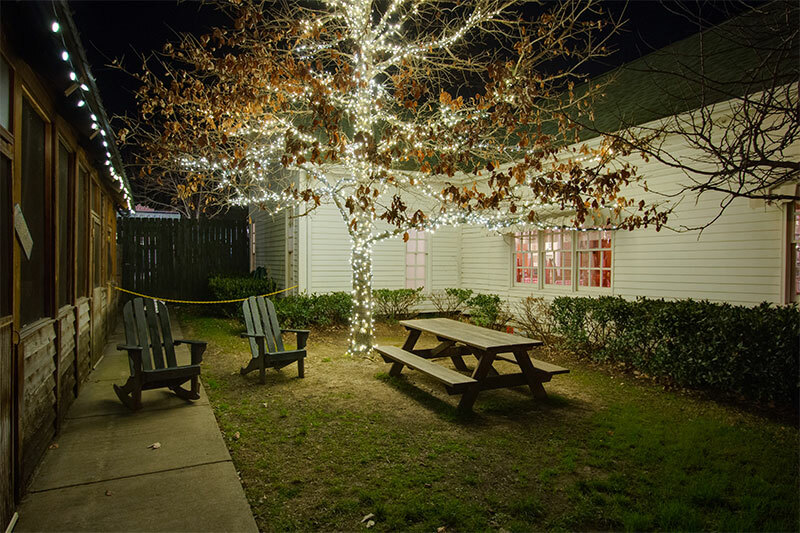 ft. venue that has become the trendiest place around for large-scale events, parties and even weddings. 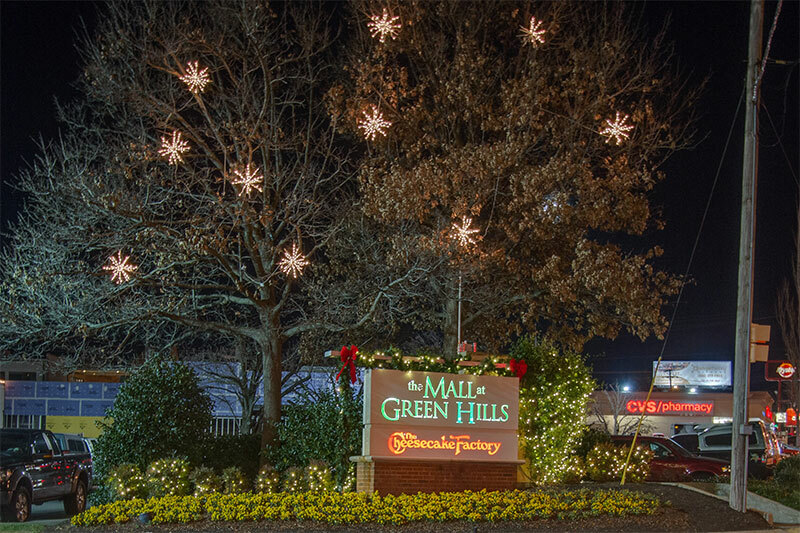 As one of the Nashville areas most popular locales for holiday shoppers, we installed a custom holiday lighting design for the Mall at Green Hills that is full of whimsy and wonderment. 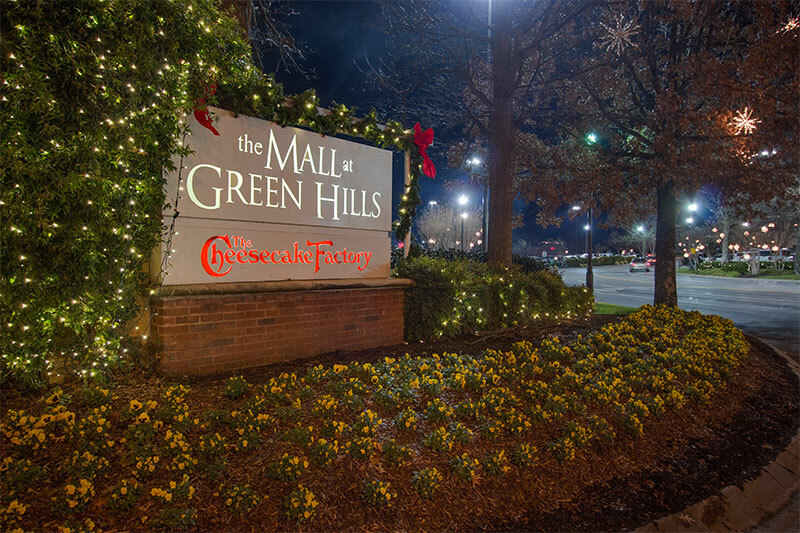 Along with illuminating the mall’s signage with illuminated garland and billowy red bows, we also lit the adjoining greenery with classic white LED lights. 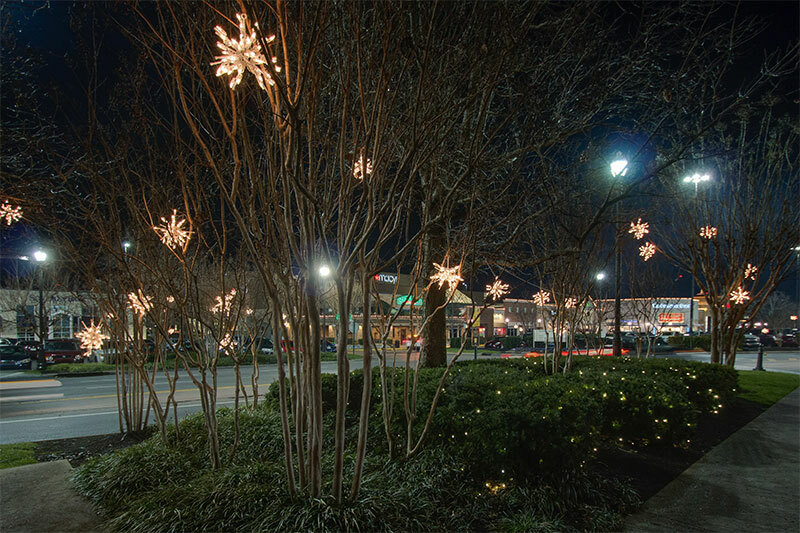 The whimsical touch comes from the 3D illuminated stars we strung from the trees lining the entrances to the mall. 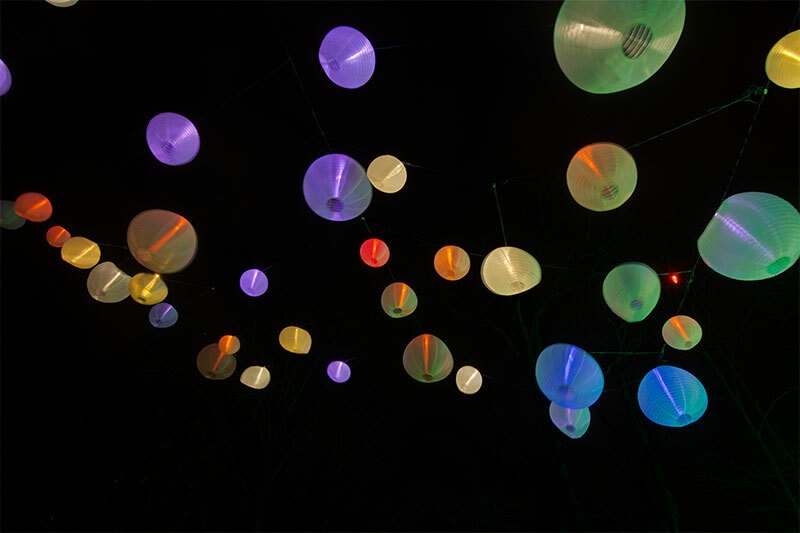 They appear to onlookers as if they are floating in the canopies of the trees. 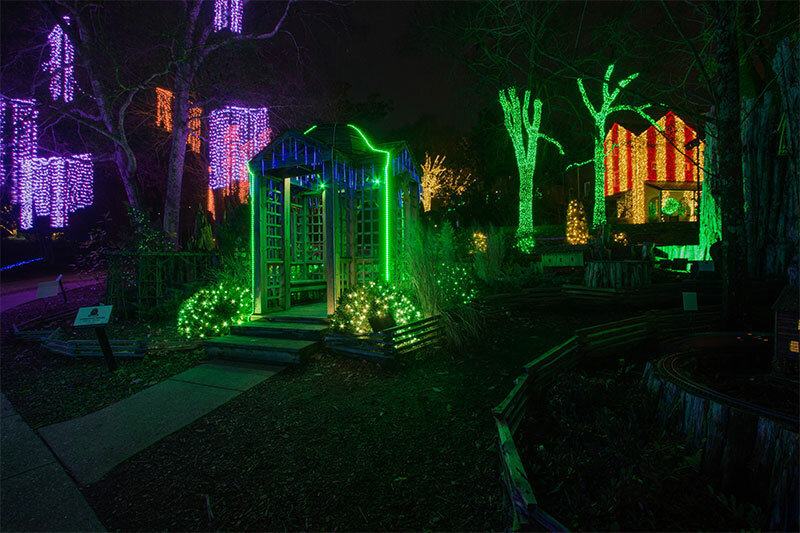 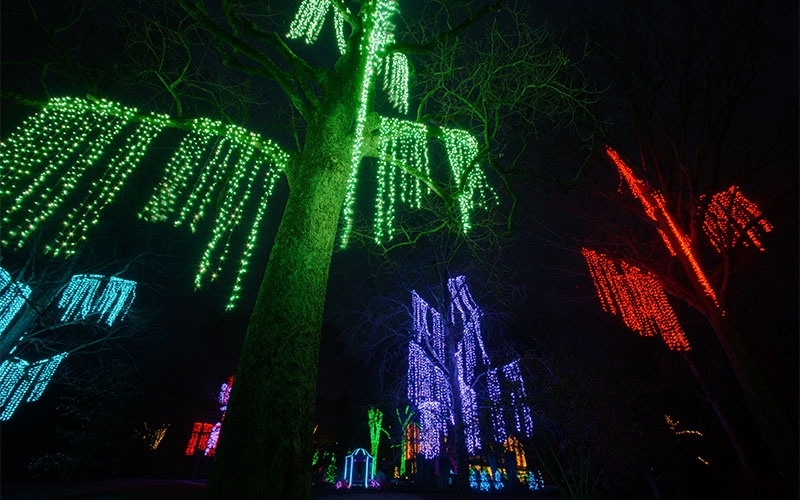 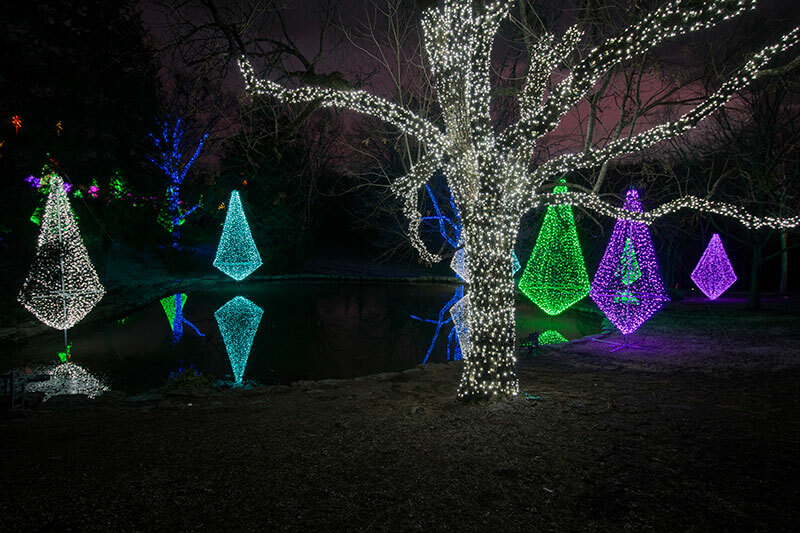 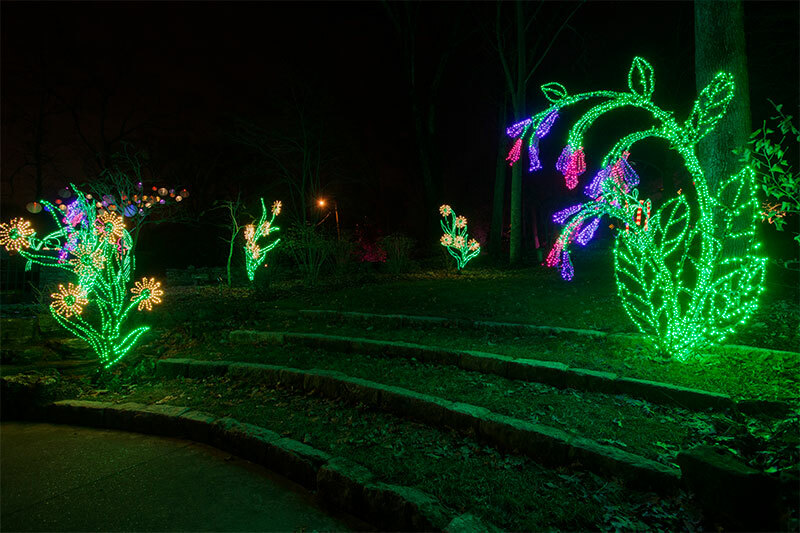 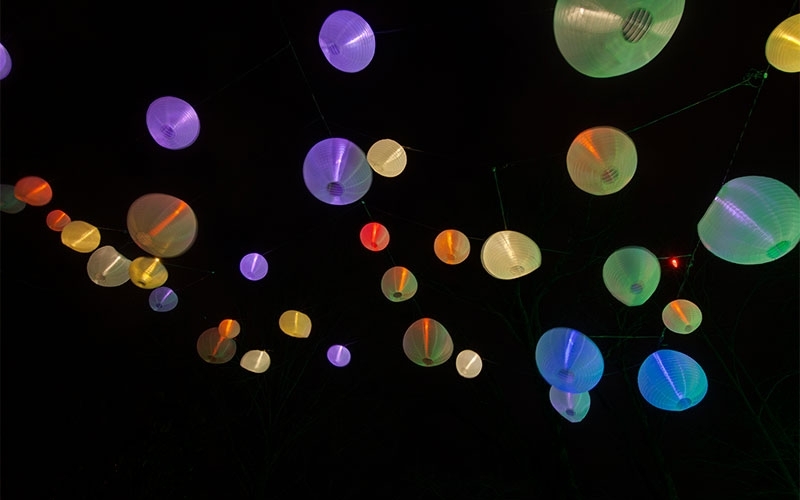 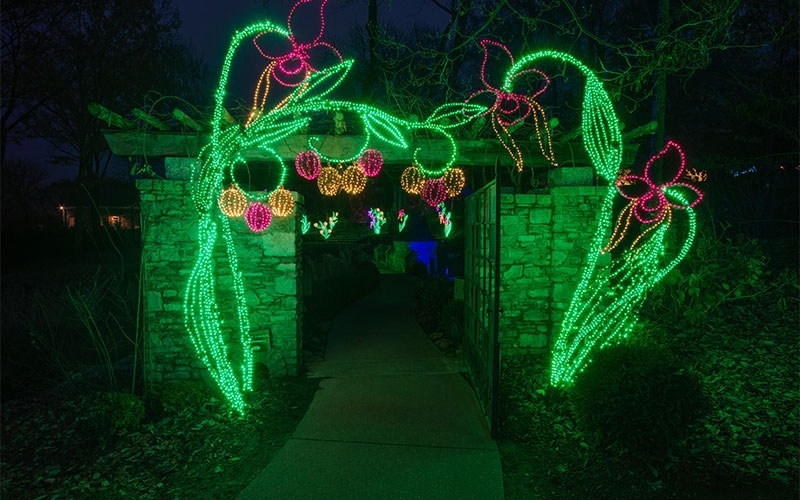 Outdoor Lighting Perspectives of Nashville is thrilled to have been asked to return to Cheekwood Estate and Gardens for a second consecutive year as the provider for their annual Cheekwood Holiday Lights. 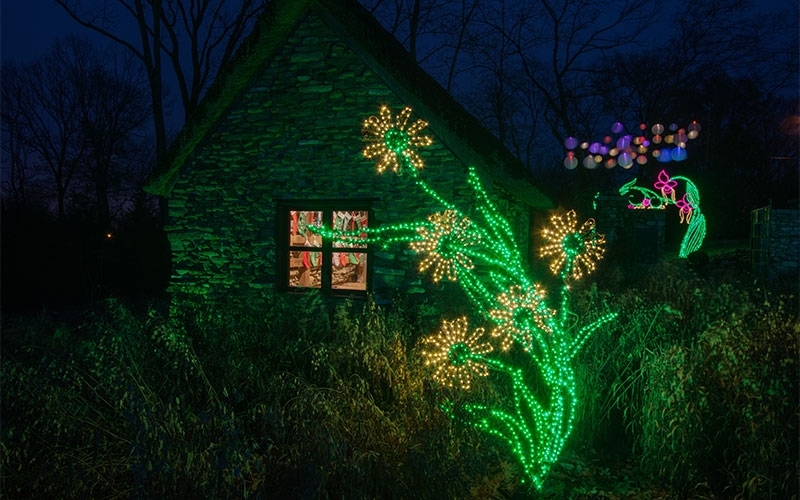 Last season’s display encompassed more than one million lights with many botanical inspired custom designs. 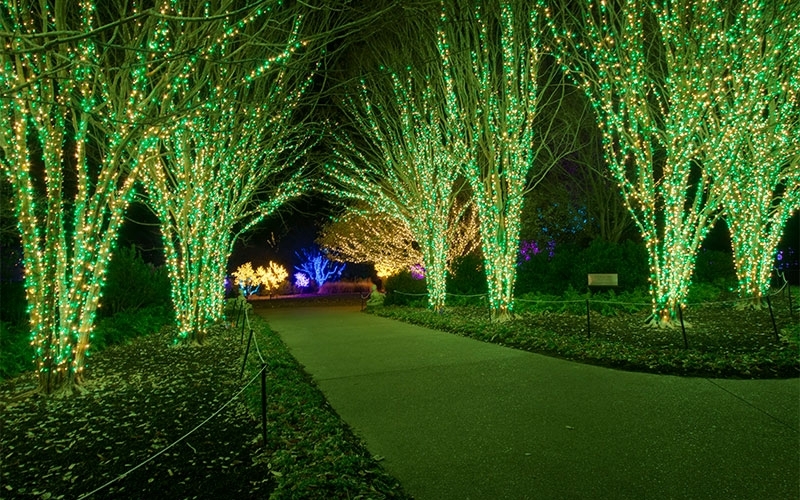 This year’s event promises to be just as breathtaking! 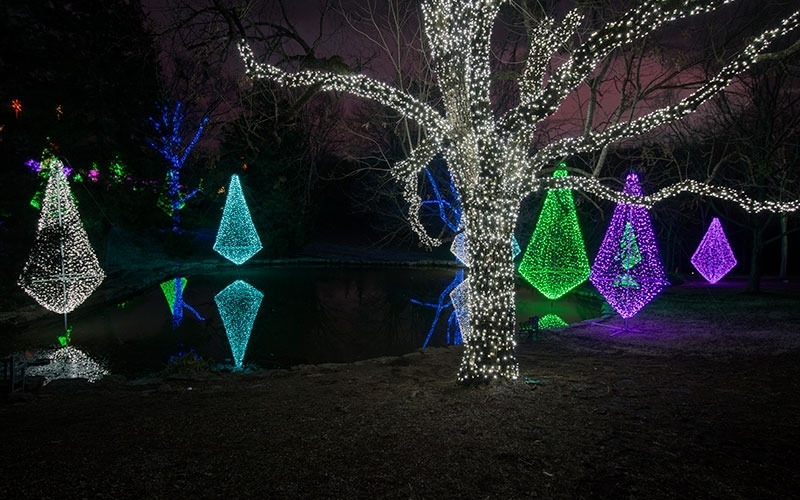 Nashville entrusts us to illuminate some pretty important spaces. 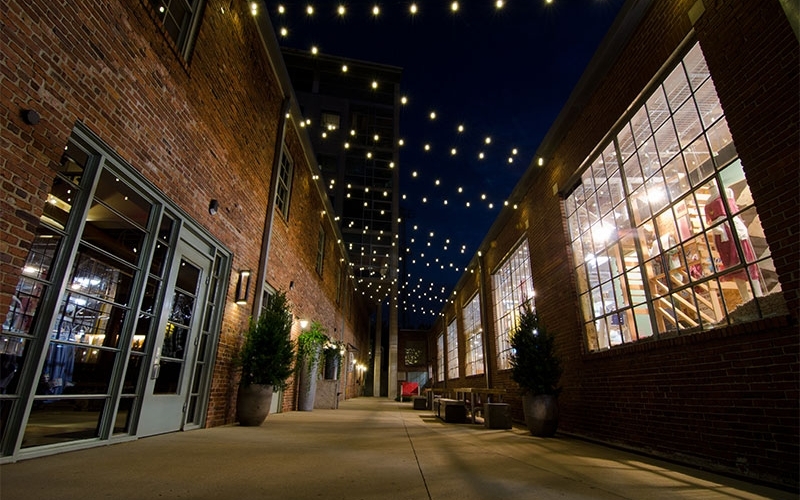 The Gulch is one of the hottest parts of town and is well-known as one of the trendiest places to see and be seen. 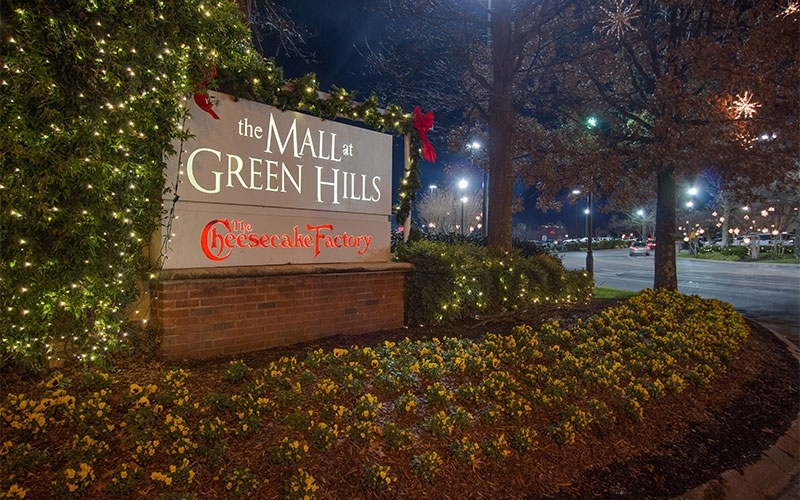 The area is filled with nifty restaurants, apartments and shopping. 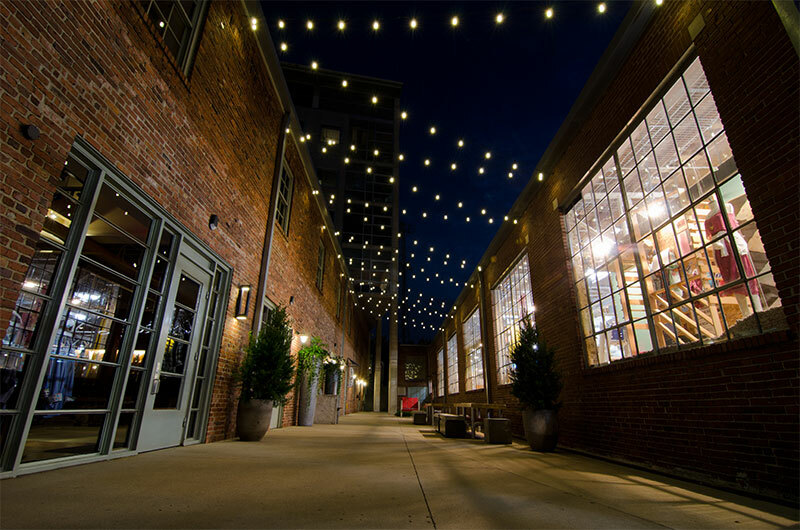 Its industrial vintage warehouse look is a big draw for hipsters looking for a cool way to spend some time in Nashville, and there is always a ton of fun that can be had in this part of town. 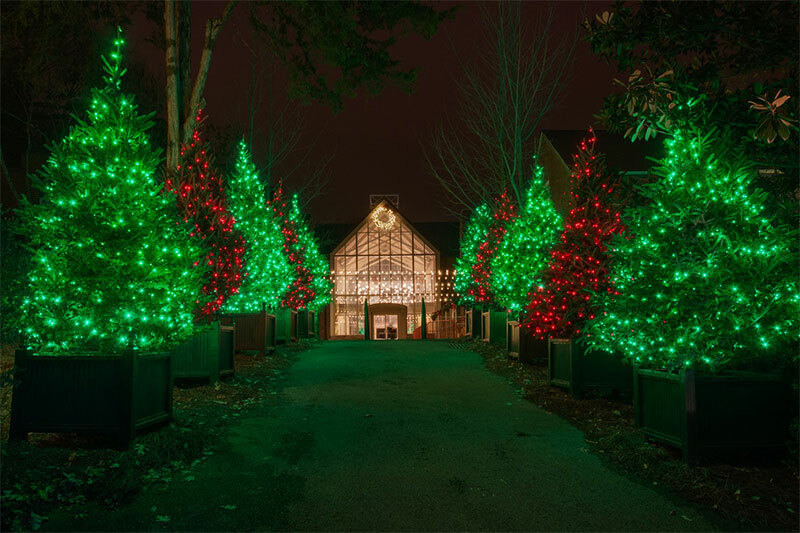 We were honored to be asked to add some not only some custom seasonal touches to the Gulch over the holidays, we also were asked to enhance daily evening allure with the addition of overhead permanent festival lighting. 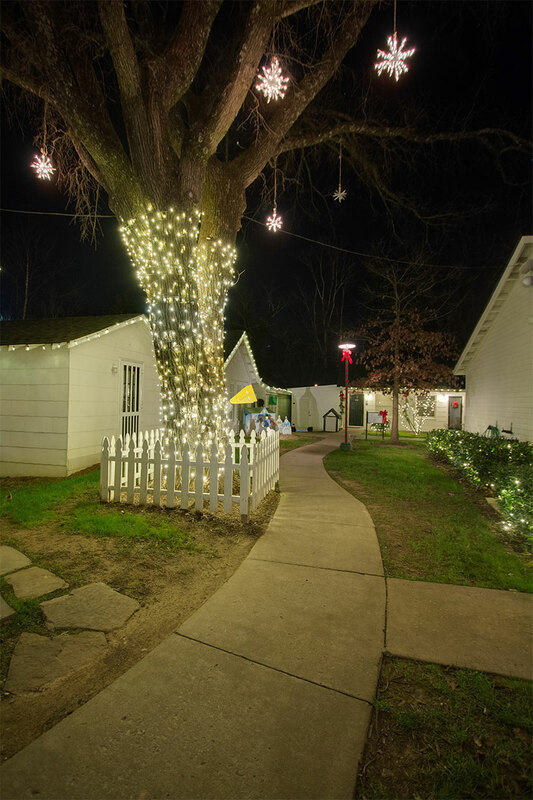 This type of custom commercial outdoor lighting casts a glow in the alleys during the evenings and can be enjoyed by visitors every evening. 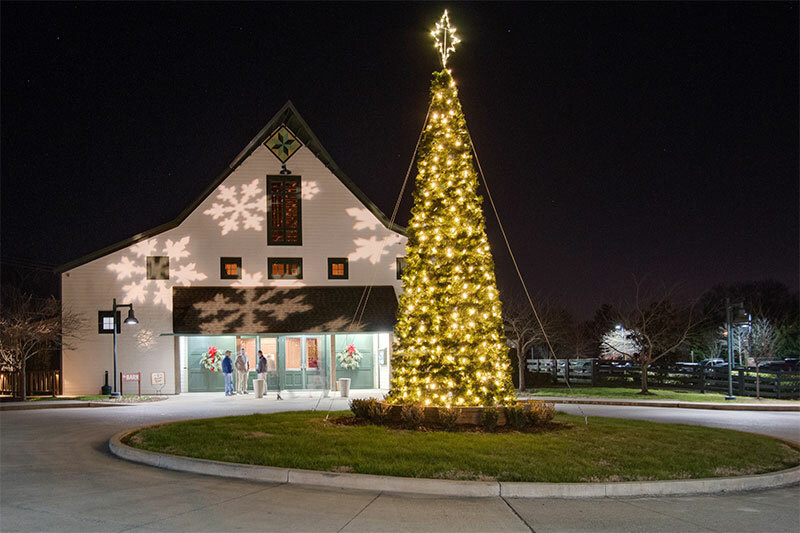 Holidays are generally a busy time for our commercial customers, as they are gearing up for holiday shoppers and the increased traffic that is the caveat of the season. 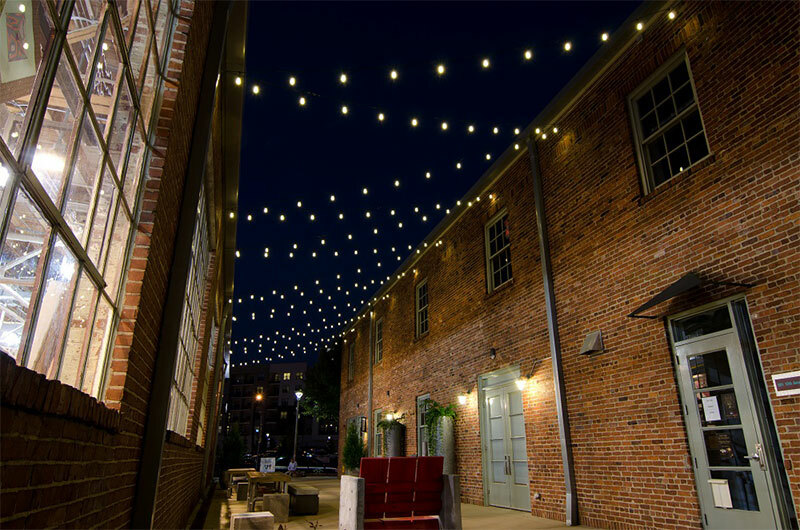 Let Outdoor Lighting Perspectives of Nashville handle everything for you so you don’t even have to think about it. 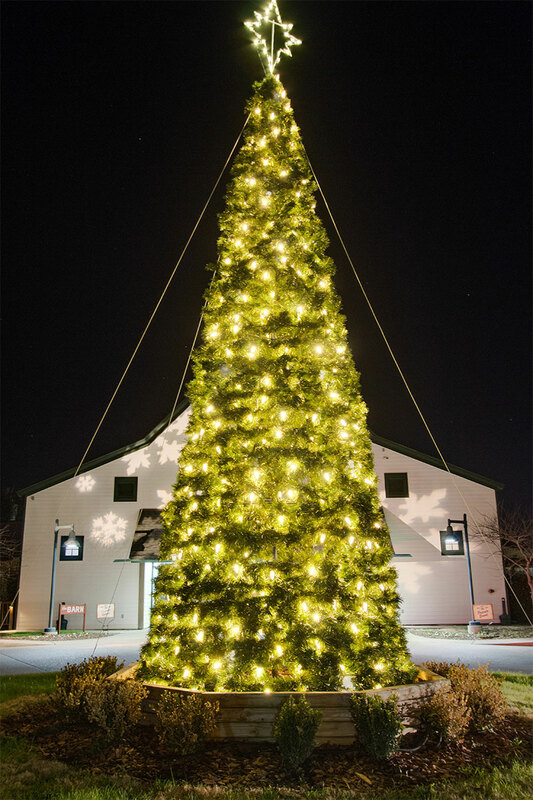 Our custom commercial holiday lighting packages includes everything, so you don’t have to stress and worry about it. 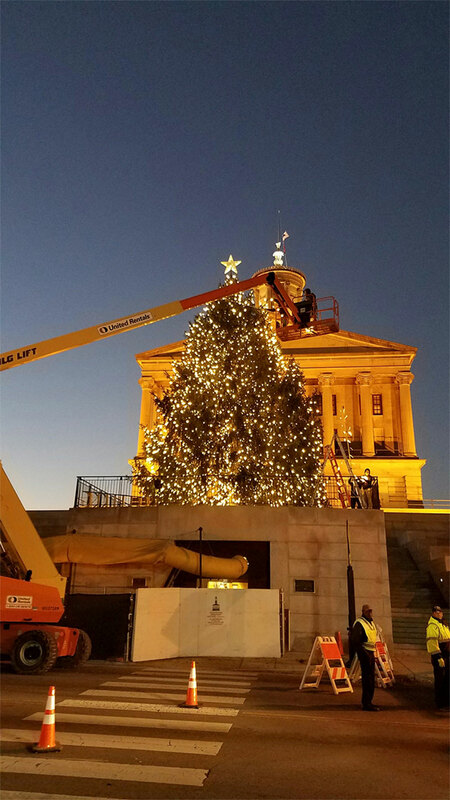 We plan, order, design, install, remove it and then store it for you. 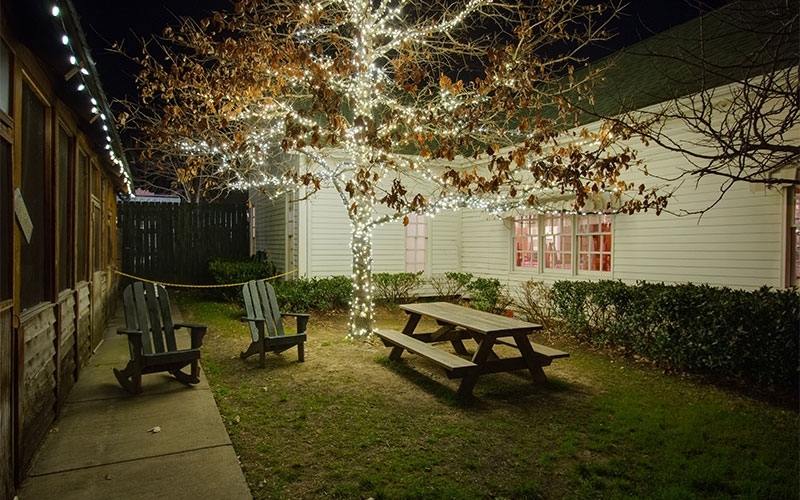 We do EVERYTHING, so you don’t have to—and you can get as involved in the design process as you wish, or let us do it all.